Over the past three decades, A-Ski has become one of the most trusted musical tastemakers in the U.S. and beyond. As a Dj, producer and musicologist, he consistently raises the bar in performance and showmanship. His style, often described as “refreshing and energetic”, has earned this music aficionado a loyal following and a reputation as “the life of the party.” His eclectic selections, turntabalism and skillful approach to MC’ing, make him a triple threat to his peers. Refusing to rely on gimmicks or trends, A-Ski’s reputation is solely built on a sincere love of music, dance and atmosphere. “Improving the quality of life through sound” is his mantra, which has maintained the longevity of this Los Angeles native’s career in music. 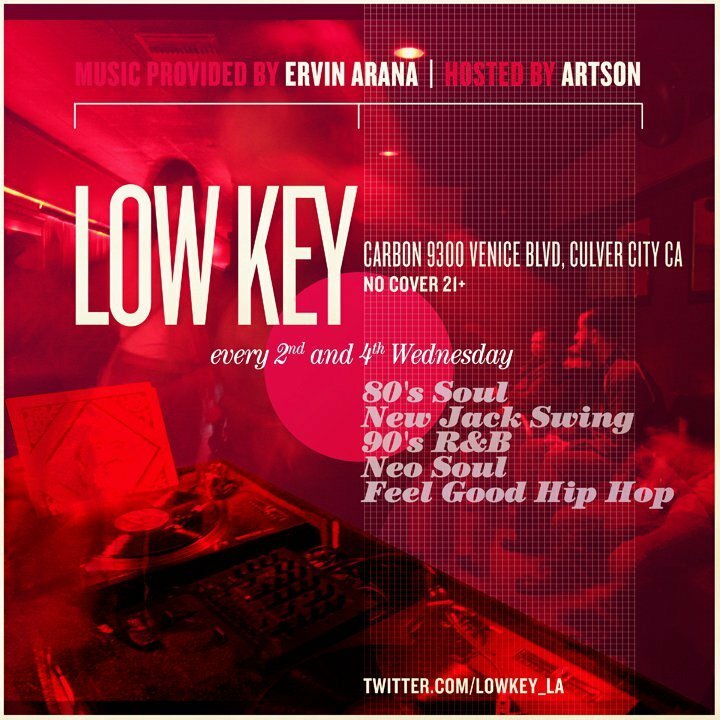 Low Key goes down every 2nd & 4th Wednesday in Culver City. Resident DJ, Ervin Arana spinning 80’s soul, 90’s r&b & feel good hip hop. Always free, always a good time at Carbon (9300 Venice Blvd). Follow us on twitter for more info & updates. This entry was posted on April 26, 2011 by unique74mag. It was filed under Unique 74 and was tagged with CARBON, Dj A-Ski, Ervin Arana, Low Key, Unique 74.